GLOBAL HEATING AND COOLING INC. 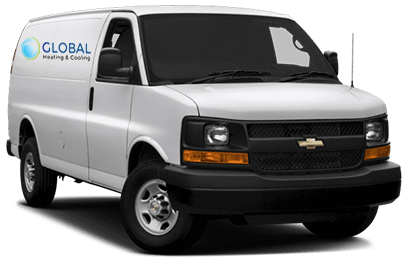 Global heating and cooling has been in business for over 15 years, and over that time our business has grown, as well as our professional expertise and skills. We have helped countless clients with their heating and cooling needs. Count on us to provide inspections, consultations, installation services, repairs, maintenance and check‐ups for all of your HVAC needs. Our company is recognized for providing nothing by high-quality heating & air conditioning services in Chicago and greater Chicagoland area. We are the trusted local source for installation, repair, replacement, troubleshooting and maintenance of furnaces, heat pumps, boilers, water heaters, radiators, and other heating systems including baseboard heaters or radiant heating. We Service Commercial and Residential Locations!